Gubernatorial candidate of the ruling All Progressives Congress (APC), Mr. Adebayo Adelabu Tuesday evening promised to establish a student's consultative forum that will interface between his government and students in the state once elected. 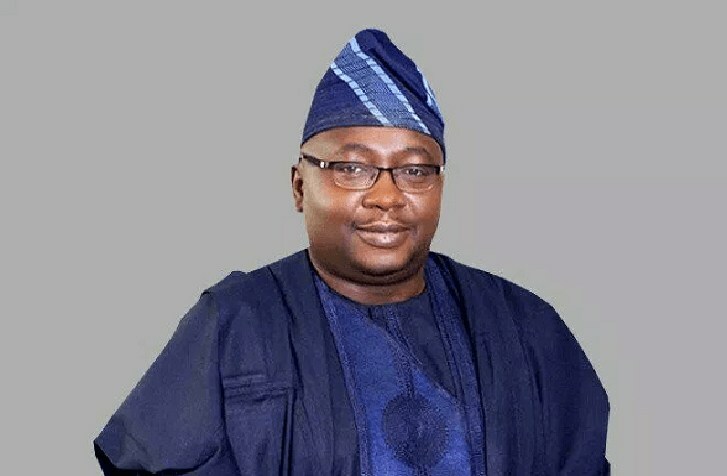 Adelabu made this promise while speaking at a parley with the leadership of Oyo State students in tertiary institutions at an event held in Ibadan, the state capital. The APC gubernatorial candidate in a statement made available to journalists on Wednesday in Ibadan by Dr. Bayo Busari, Spokesperson for Friends of Bayo Adelabu Independent Campaign Group, (FOBA ICG), said that the students were led by NANS JCC Chairman in Oyo State, Moronkola Teslim and Federation of Oyo State Students (FOSSU) Senate President, Wasiu Oke. The students used the medium to throw their support behind the candidature of Adelabu. The students leaders while assuring Adelabu of their votes, declared their utmost confidence in his ability to lead the state to a greater height. Busari in the statement maintained that Adelabu had earlier on Tuesday meet Professional Videographers Association of Nigeria (PVAN). He noted that members of PVAN during the meeting adopted Adelabu as their gubernatorial candidate. Busari noted that the adoption took place during a meeting between members of PVAN and Friends of Adebayo Adelabu Independent Campaign Group. PVAN Governor, Prince Niyi Olanrewaju said that the association was ready to mobilise its more than 22,000 members to work tirelessly for the success of Adelabu at the polls. Olanrewaju noted with delight the effort of Chief Adelabu to bring about the peaceful atmosphere that pervades the length and breadth of Oyo State through his leadership of the Oyo State Security Trust Fund. He said, “The people of Oyo State have enjoyed relative peace through the effort of the security trust fund that you head. Not only this, your uncommon contribution to the establishment of the Technical University has not gone unnoticed. “It is our belief that if you could do all this, aside your various philanthropic activities, you best suited to be the number one man in Oyo State, come May 29, 2019,” Olanrewaju declared. “We’re proud to be associated with his ambition and we’re ready to throw our weight behind the realisation of his ambition to govern Oyo State come May 29, 2019,” he declared. Olanrewaju appealed to members of FOBA ICG to impress it on Chief Adelabu to run an all-inclusive government when he is eventually sworn in as the governor of the state. FOBA ICG Chairman, Mogaji Remi Babalola who received the leadership of PVAN thanked the association for endorsing the candidacy of Adelabu for the gubernatorial election. He assured that Oyo State was going to have a listening governor in Adelabu who will also ensure that all sections of the state get their fair share of government attention.